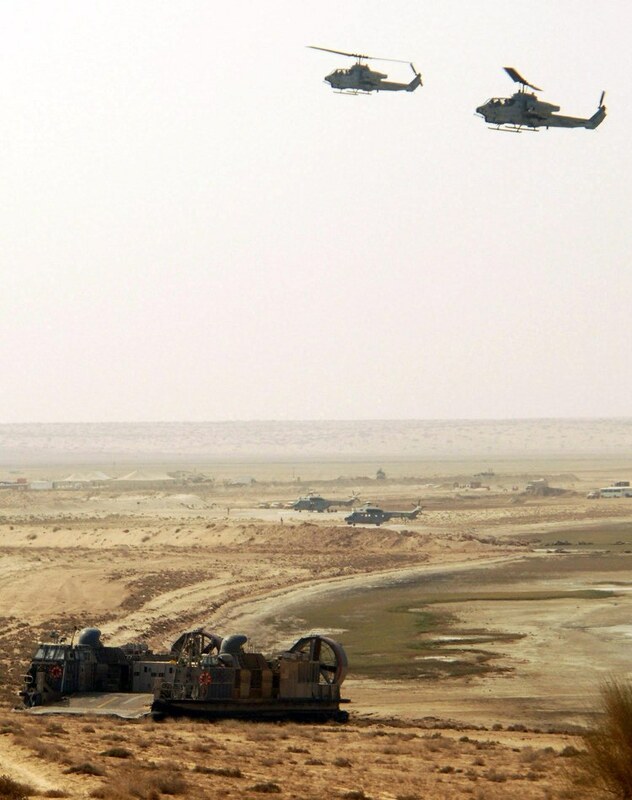 Middle East, 28 October 2008 — A landing craft air cushion from Assault Craft Unit (ACU) 4 and two AH-1W Super Cobra helicopters from Marine Medium Helicopter Squadron (HMM) 264 participate in a bilateral training exercise. ACU-4 is deployed as part of the Iwo Jima Expeditionary Strike Group supporting maritime security operations in the U.S. 5th Fleet area of responsibility. U.S. Navy photo by Mass Communication Specialist Seaman Christopher L. Clark.